Driver’s licenses must be renewed every 5 years (or more frequently depending on age, health and legal status). 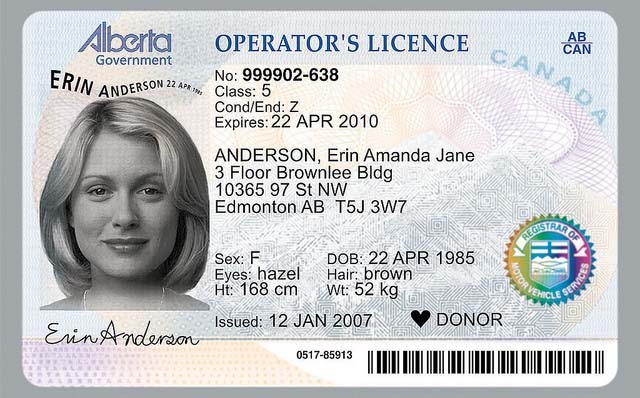 These Alberta Drivers License renewals must always be done in person at an Alberta Registry office and you cannot authorize another person to do the service on your behalf. Please see below for special circumstances for out-of-province applicants. The cost for a 5 year term is $84.45 and the cost is pro-rated for shorter terms. Normally, a shorter term can only be requested in cases of financial hardship. Your license will also be renewed for a shorter term if your status in Canada will expire before the end of the 5 year term (i.e. if you are in Canada on a work or study permit). Your driver’s license always expires on your birthday, not on the last day of your birth month. The Government of Alberta no longer mails out reminder letters when your license is about to expire. Don’t get caught with an expired license – sign up for an email or text reminder. If your license is expired for more than 6 months, you will need to bring support documents to prove your identity, legal status in Canada and residence in Alberta. Please see this list of acceptable support documents so you know what to bring in with you. Keep in mind that if your license has lapsed for three years or longer, you will need to provide the support documents as above plus you will need to pass a Knowledge Test and Road Test. 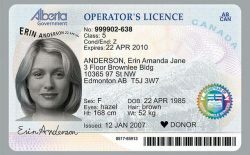 If you are a resident of Alberta but are outside of the province temporarily, you may be allowed to apply for a Code F License renewal. You are only allowed to use this process once, so if you have already renewed using this process, you will not be approved. You are a student attending an accredited school on a full time basis outside of Alberta. You are an Alberta residents temporarily vacationing outside of Alberta. Please call us at 403 272-5513 so we can talk you through the documents that are required by your specific situation and to collect payment over the phone. You will need to provide us with credit card payment. The fee is $21.30 plus 3% third party credit card processing fee.